1 Cost may be free or significantly reduced if your insurance, health plan, quitline or clinic provides coverage. 2 Generic versions, store brands and other brands are available. $$$ = $300 and above = Yes, often covered. Check with your insurance company or health plan. Acupuncture is when a practitioner places needles in parts of the body, usually the outside of the ear. Acupuncture tries to relieve your discomfort from nicotine withdrawal. 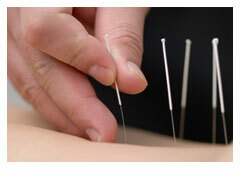 There is no proof that acupuncture can relieve withdrawal symptoms or increase the chances of quitting. Hypnosis is a state of deep concentration, in which you are guided through some thoughts and feelings. Hypnosis aims to help people quit smoking by reducing the desire to smoke, increasing the will to stop, or helping better focus on quitting programs. There are many different hypnosis methods for quitting. At this point, there is little proof that hypnosis helps smokers quit successfully. 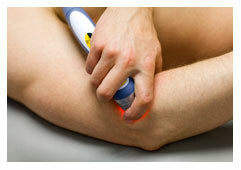 Laser therapy uses low intensity lasers (light beams) on certain parts of the body. There is no evidence that laser therapy works to help people quit smoking. Laser therapy is not FDA approved for smoking cessation. There are quitting programs that you can access through a computer. You can get general treatment information from a website or you can find an internet program that provides cessation steps designed just for you. Internet quitting programs can be more interesting and useful for some people, but it is not clear how well they work. There are many smoking cessation websites available, but there is little proof about which parts of these programs are helpful for smokers to quit and avoid starting again. You can find more information on Internet quitting programs at www.smokefree.gov, www.BecomeAnEX.org, www.quitnet.com. If you are a light smoker, motivated, and confident about quitting, you can use other guides or materials to help you quit. These materials are usually used alone, without the help of a counselor or doctor. Self-help quitting guides and materials can be found at your health care provider’s office or local health department. There is little evidence that these materials help smokers quit by themselves.